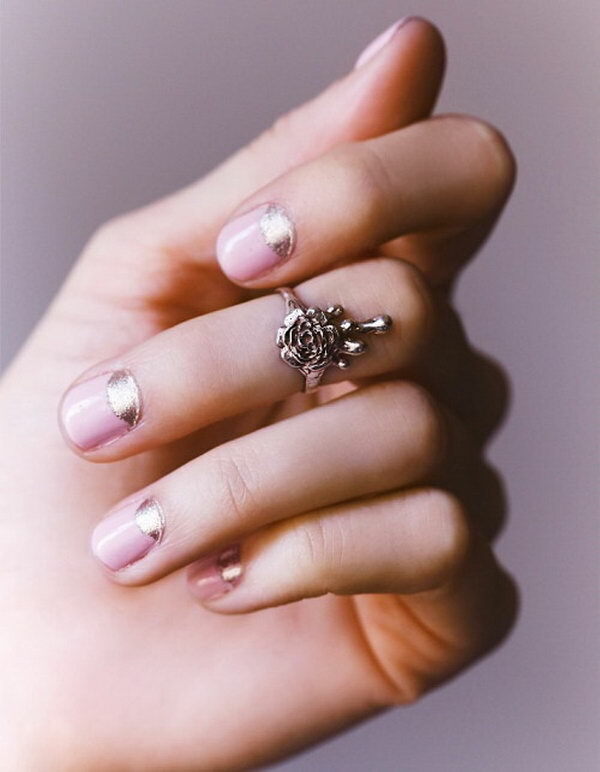 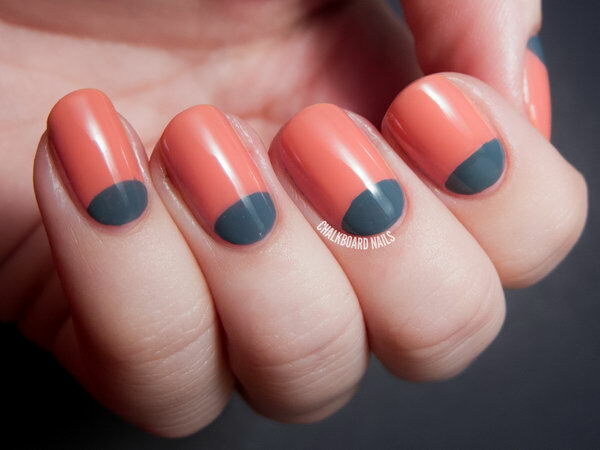 The half-moon manicure is a nail art design that features two contrasting shades of polish, one at the base and one at the tips, almost like a reversed French manicure. 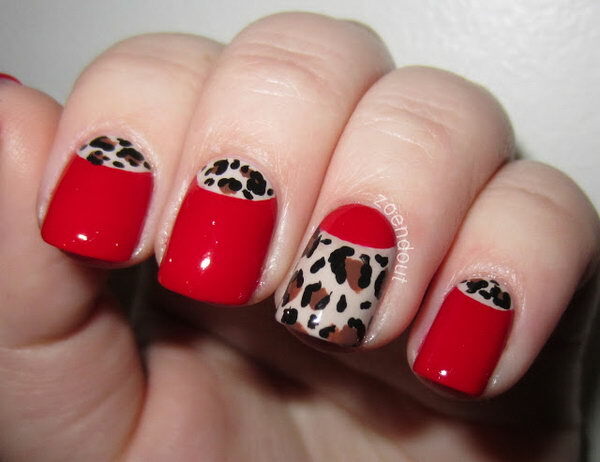 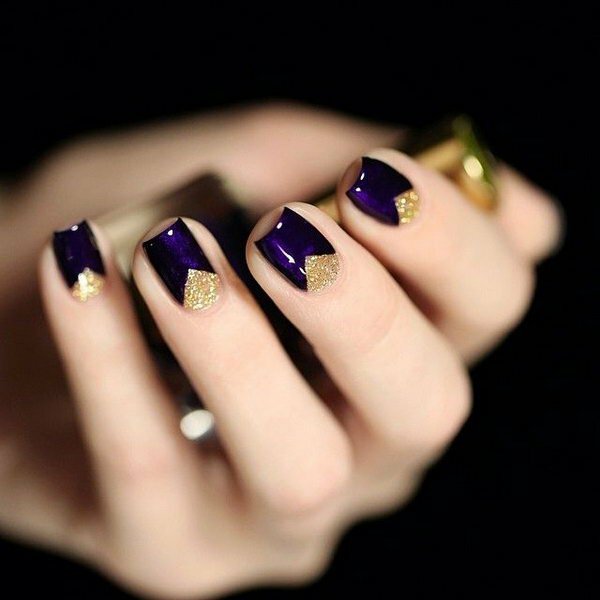 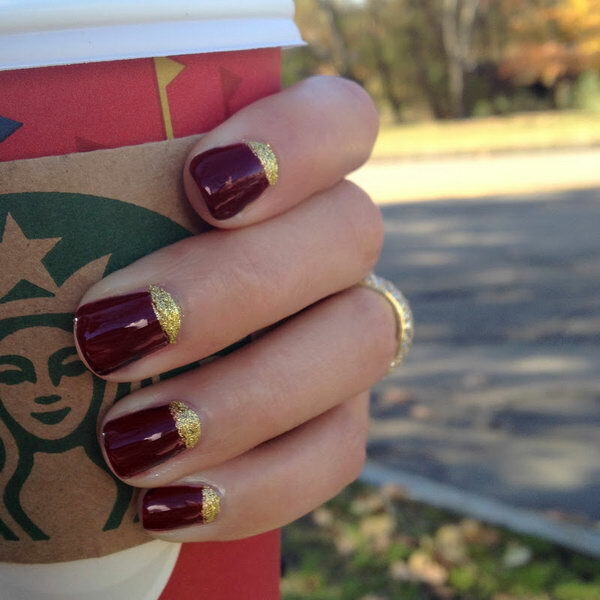 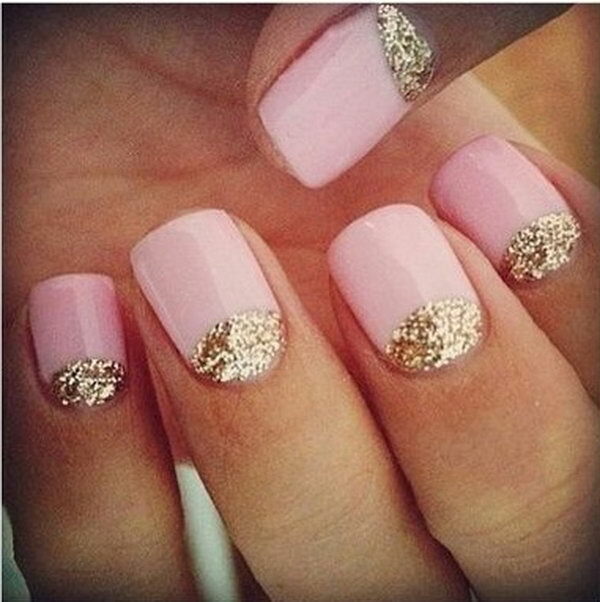 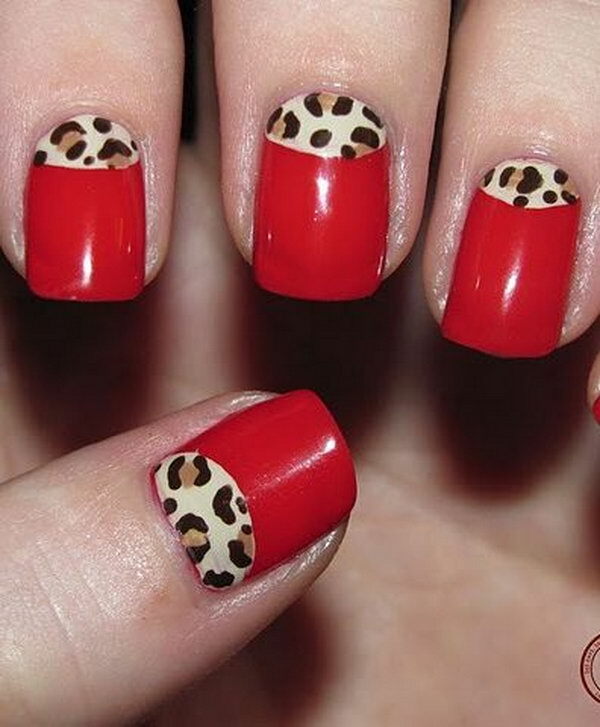 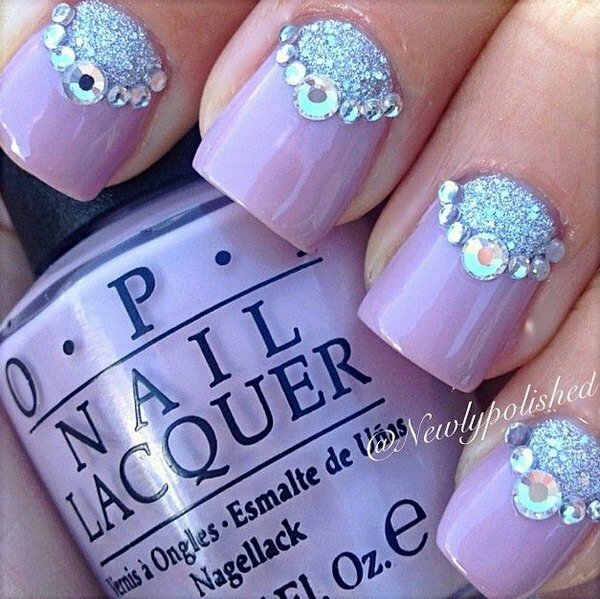 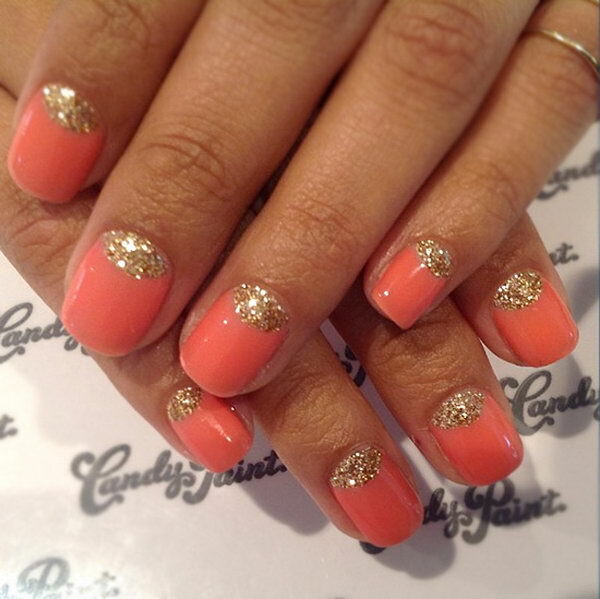 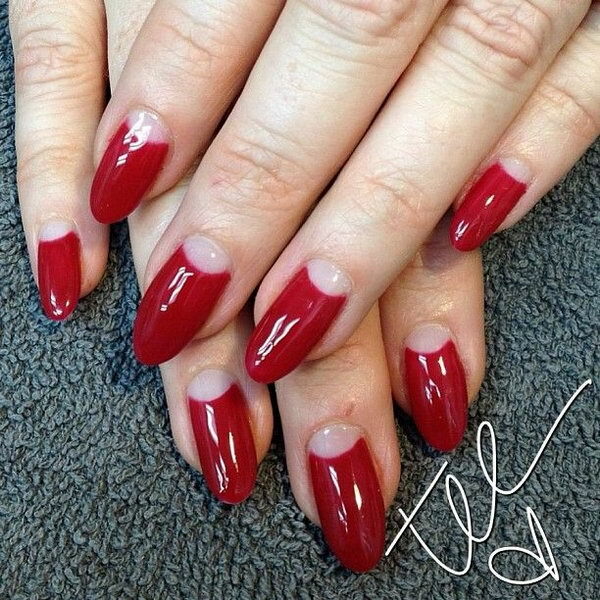 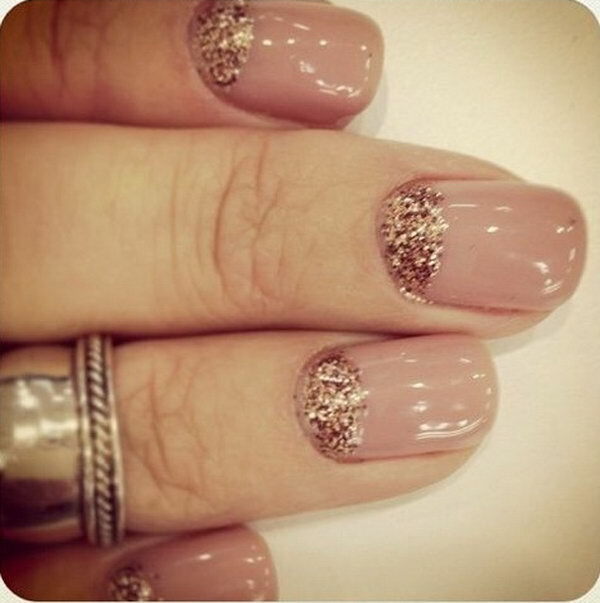 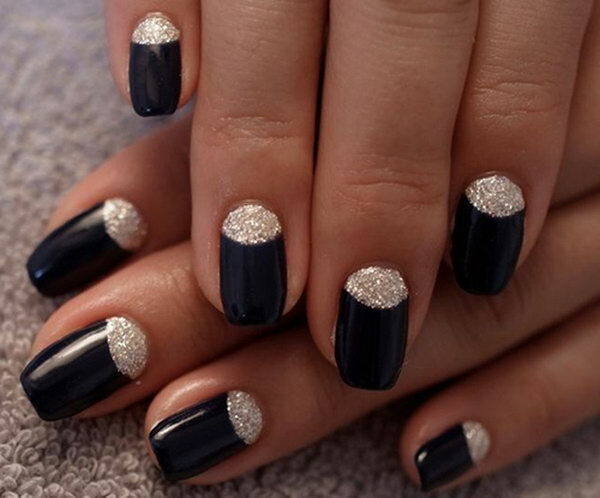 They have been around since the early 1920’s and to this day have remained a firm favorite in the nail fashion world. 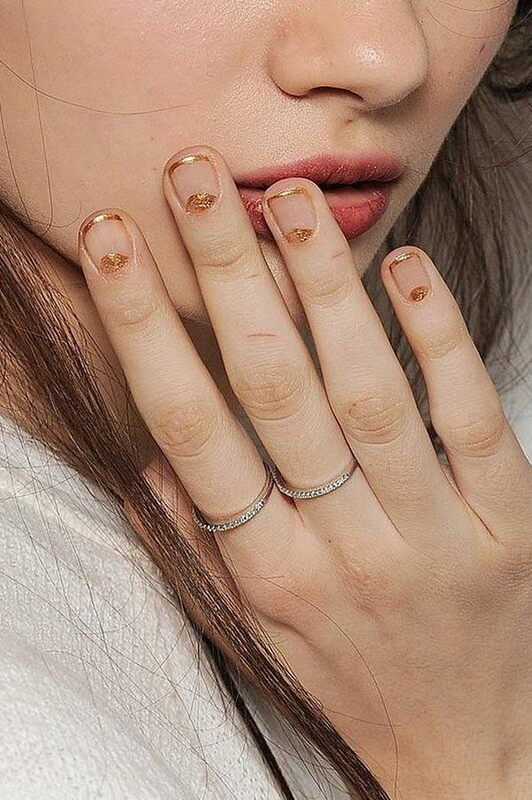 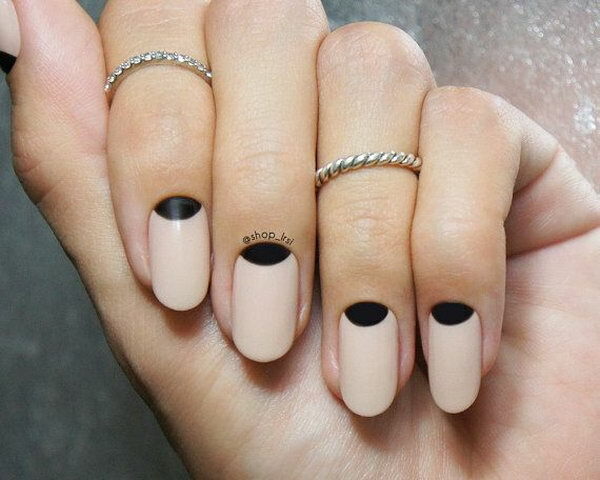 The half-moon manicure goes perfectly well with almost every outfit and it is the perfect choice for occasions from red carpets to regular, everyday locales like schools and offices. 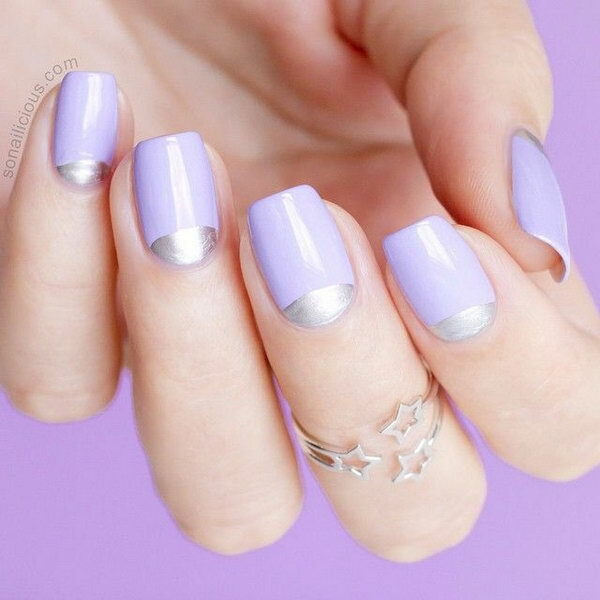 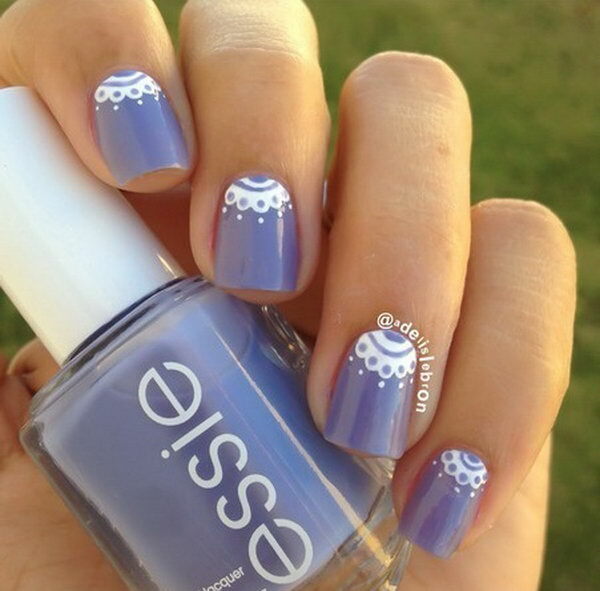 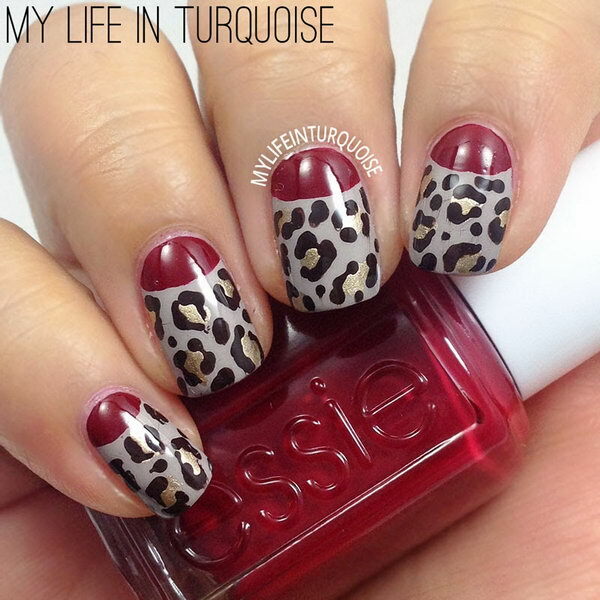 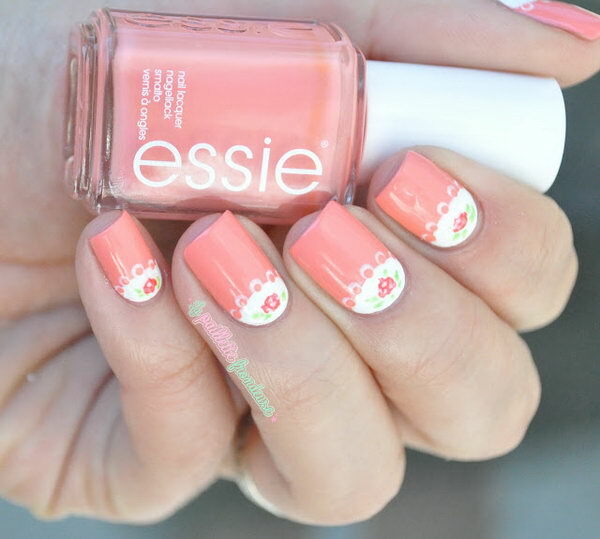 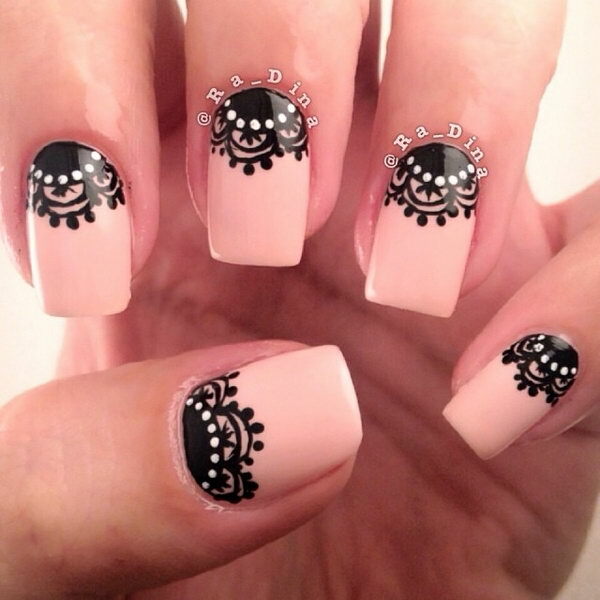 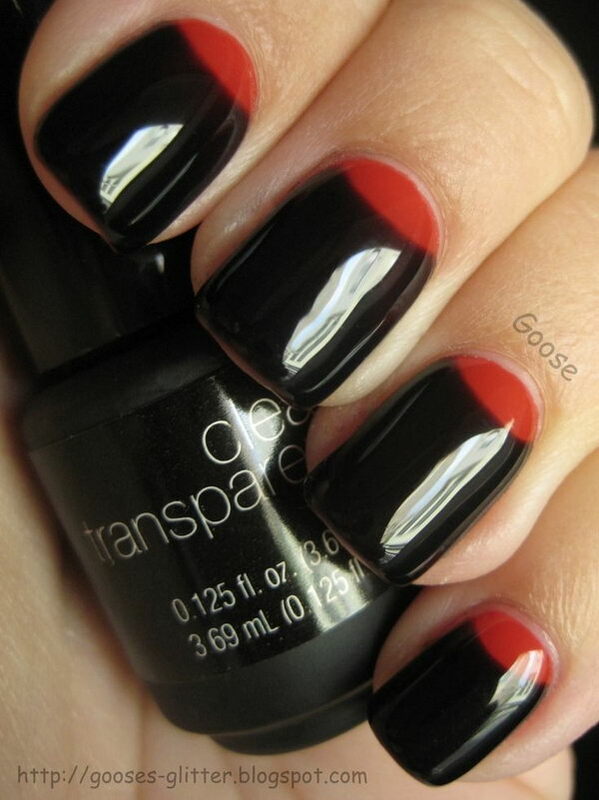 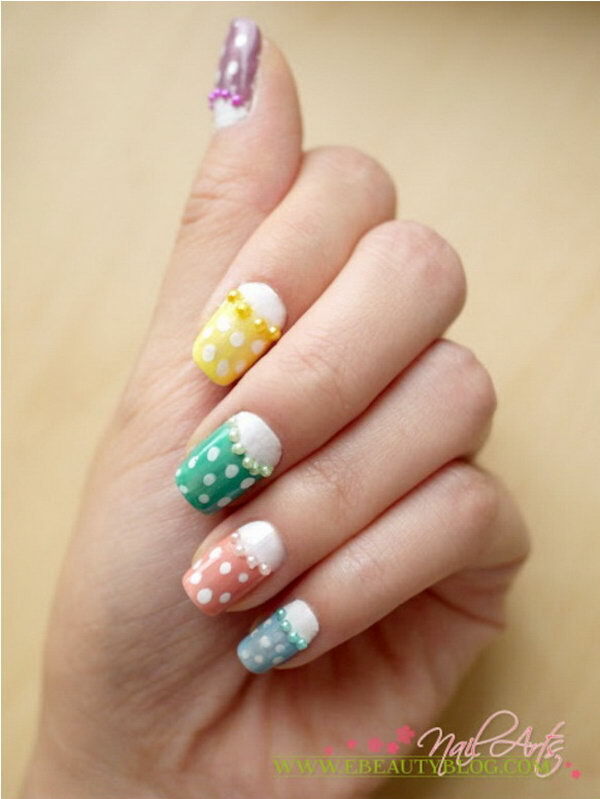 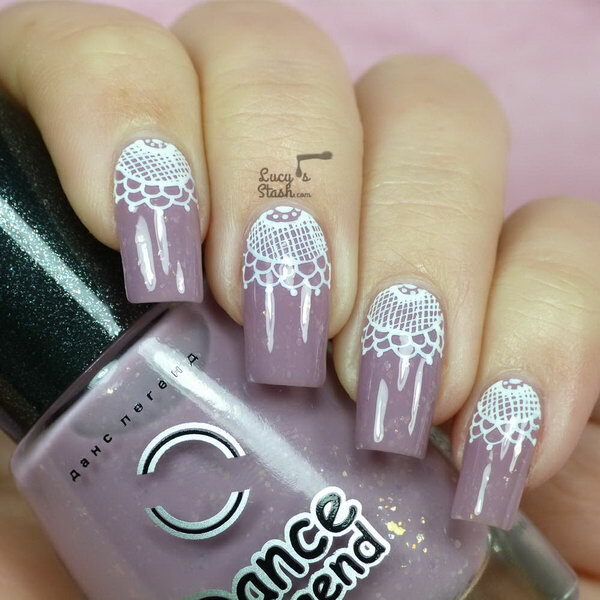 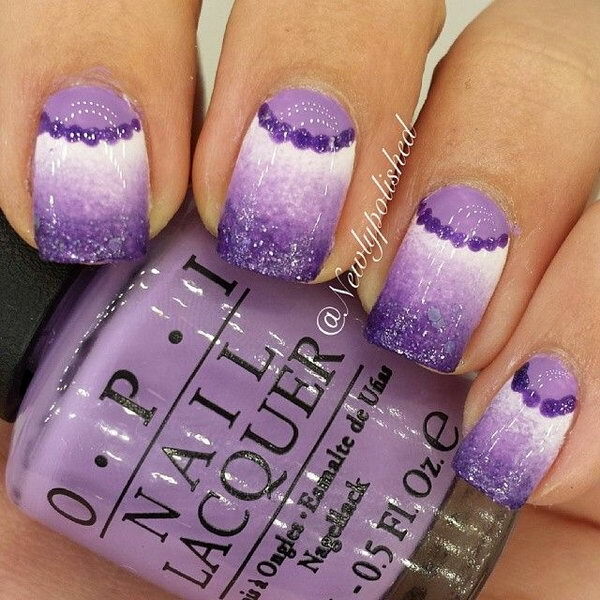 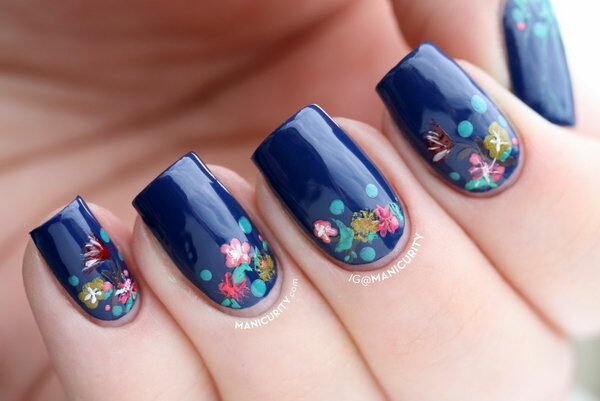 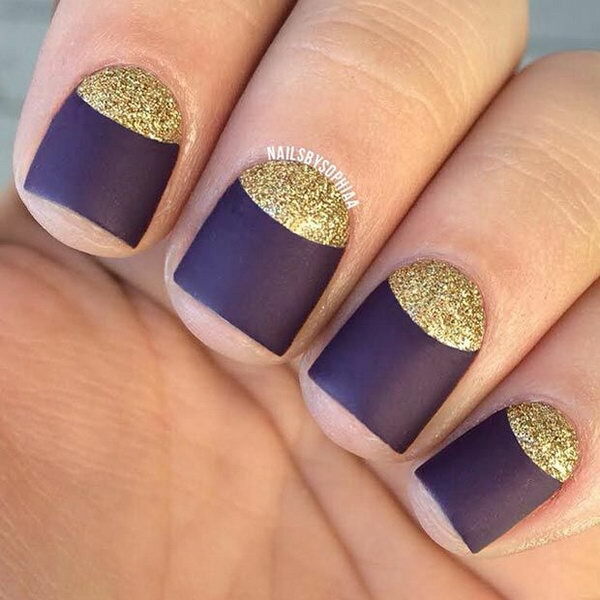 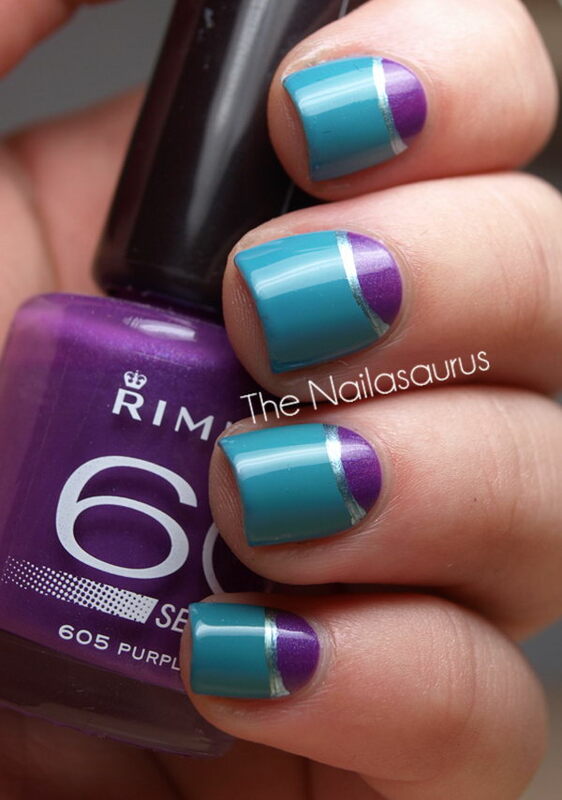 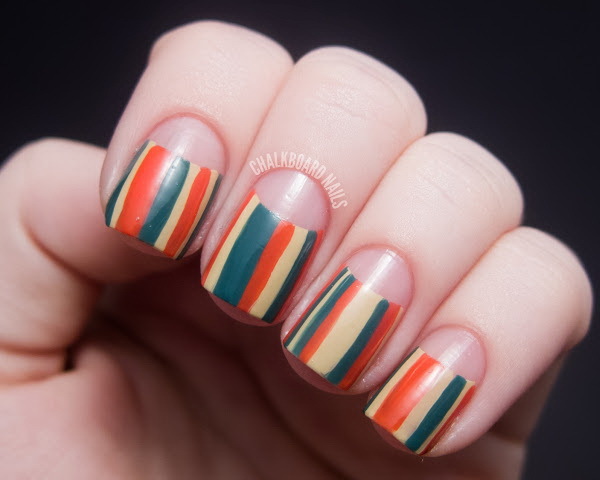 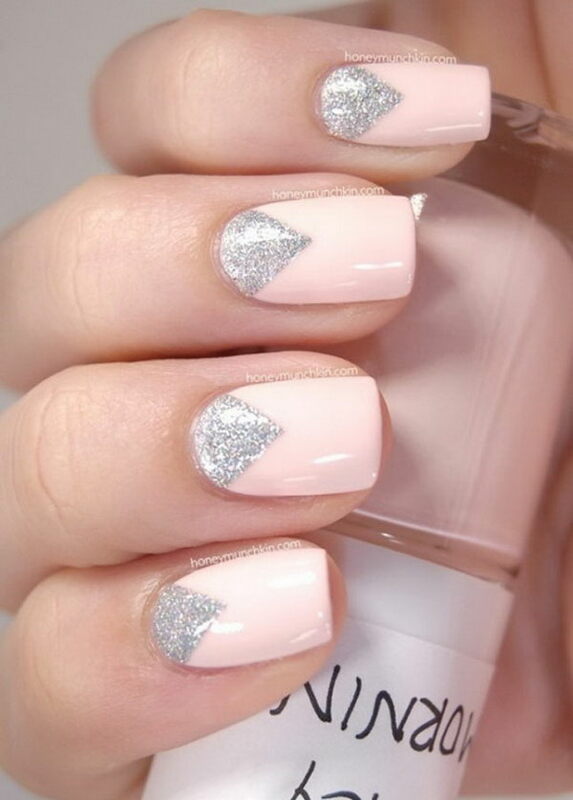 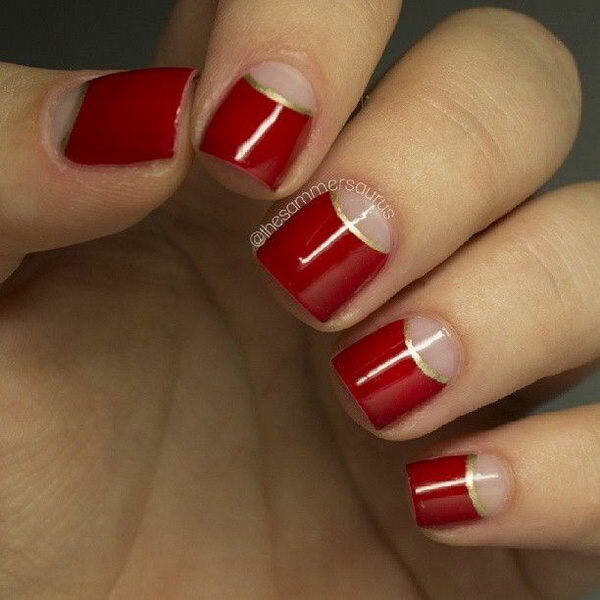 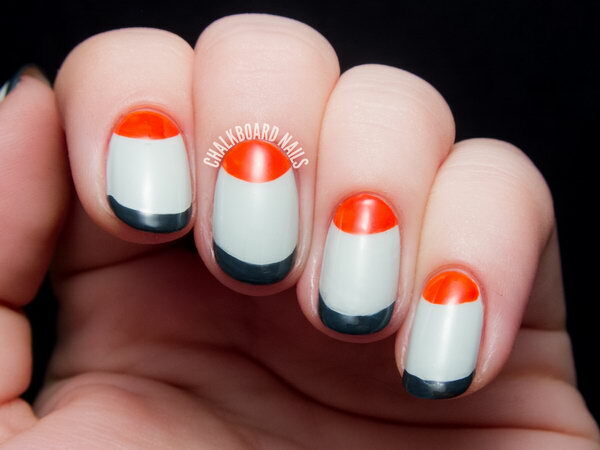 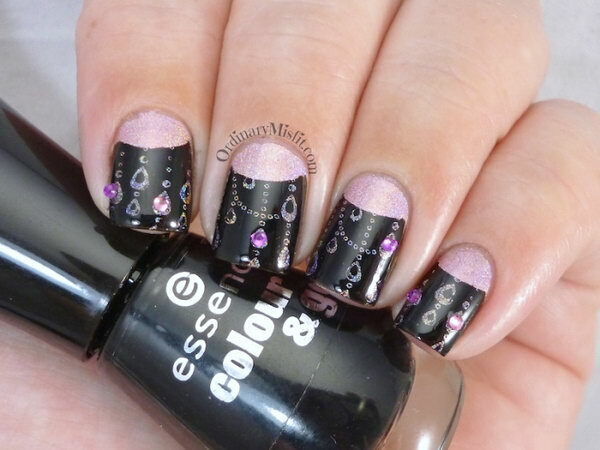 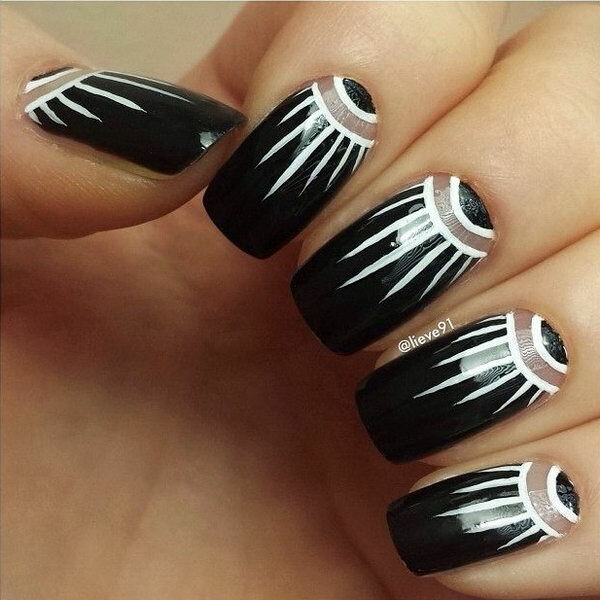 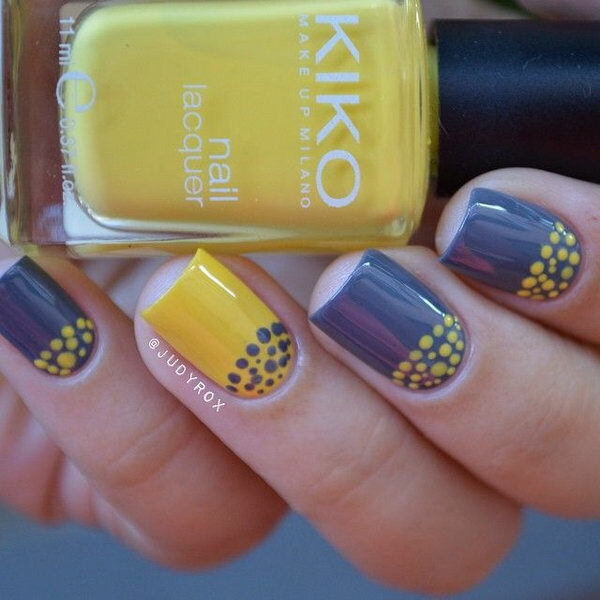 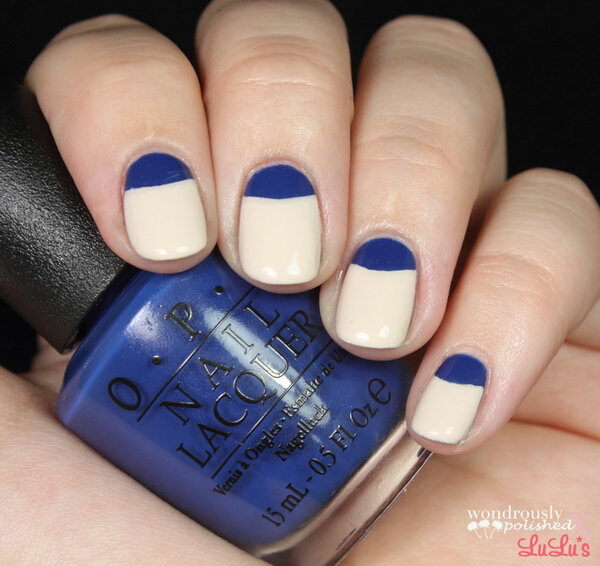 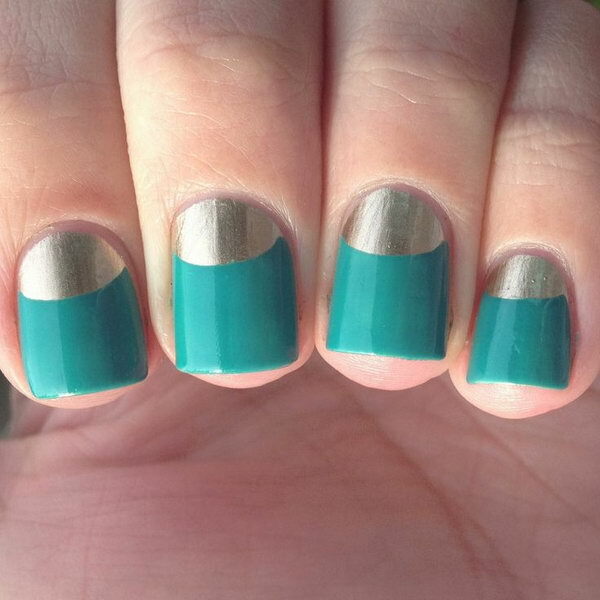 The half moon nail designs can be done super easily because they just need two color blocks. 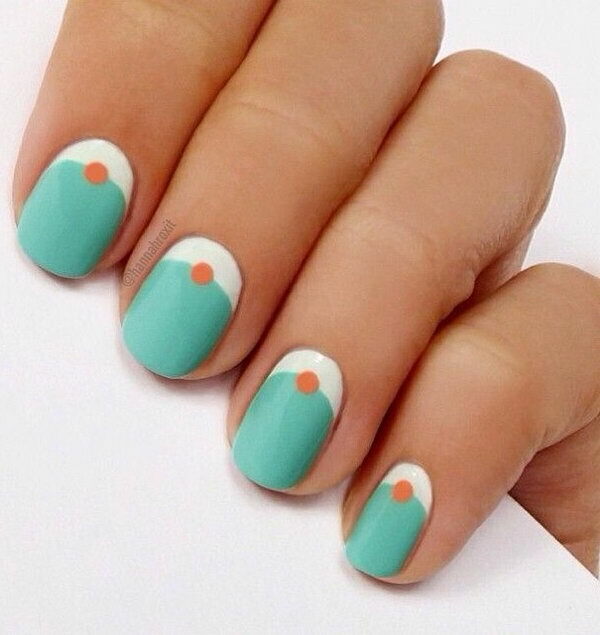 Though you are a beginner, you can master it easily. 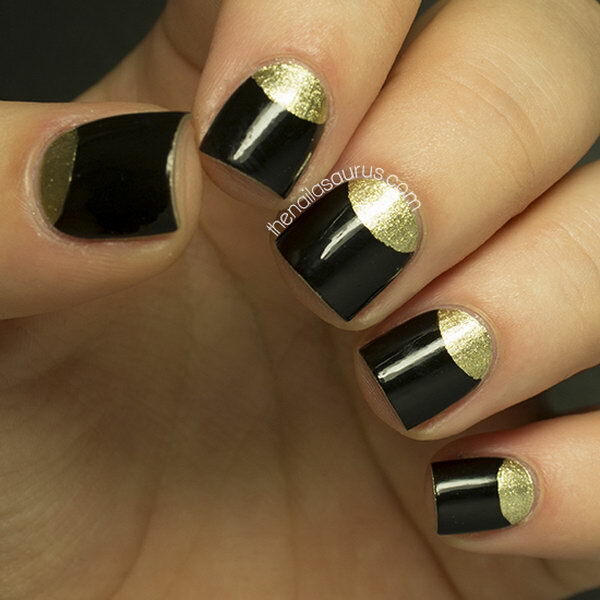 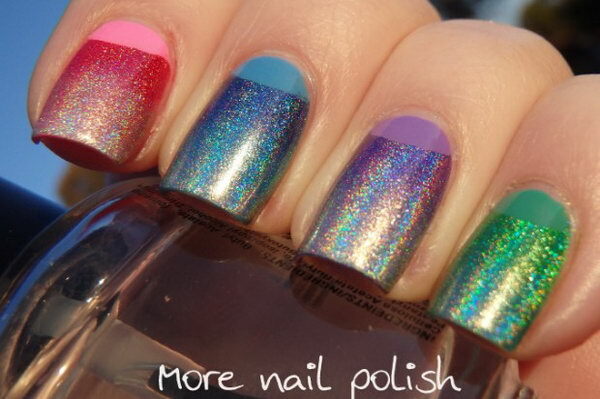 Today in this post, lots of half moon nail designs will be introduced to you. 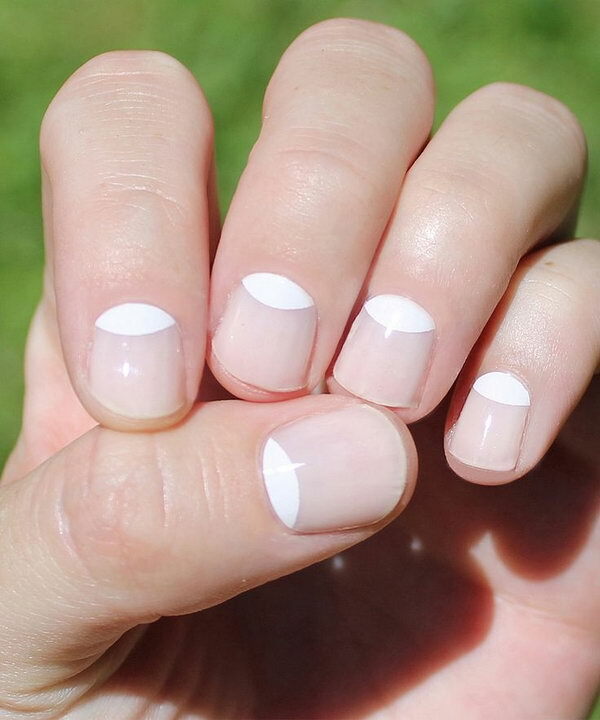 Please check out these lovely inspiration photos for fun variations on a basic half-moon manicure .There’s something here for everyone, whether you’re looking for a bold “show stopper” or a look that’s a little more ordinary.